Is your pride and joy in need of a checkup? No, we’re not talking about your significant other, we’re talking about your Jeep! At Clark Automotive we understand just how important your Jeep is to you. We’ve been a popular Jeep repair shop in Blaine, Minnesota for decades and we always love to see our customers bring in their pride and joy for us to work on. It makes us feel good to know that our customers trust us with their most prized possessions, which for a lot of people is their Jeep. 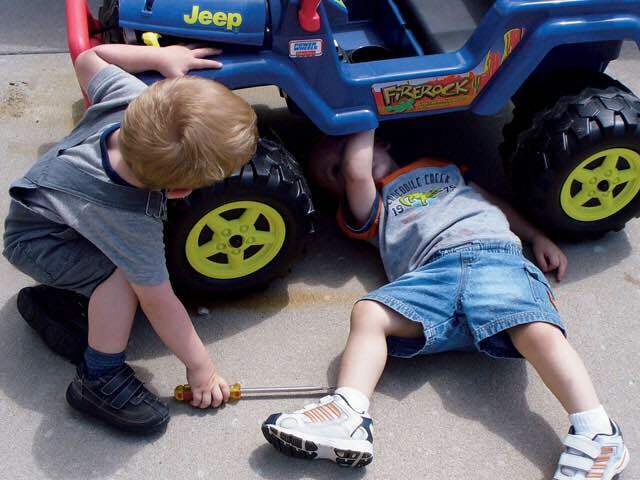 We understand that when your Jeep is out of service, it causes a lot of problems in your life. This is why we’re happy to offer loaner cars as well as courtesy roadside service for our top customers. We want to build a long standing relationship with each of our customers, which is why we strive to go above and beyond when it comes to providing the highest level of Jeep service and expertise in the entire area. Finding a reputable mechanic in the area can be difficult, which is why we’ve made it a point to hire and retain ASE certified mechanics at Clark Automotive. To become ASE Certified, a mechanic must have two years of on the job training, pass a rigorous test and then retake an updated version of that test every 5 years. This ensures that ASE Certified Mechanics are up to date with all of the latest technology related to auto repair. Vehicles and Jeeps in particular have become quite complicated thanks to the advanced onboard computers that are used in cars today. At Clark Automotive, our team has the expertise and the latest state of the art equipment to diagnose your Jeep problem and resolve them as quickly as possible. To learn more about our Jeep repair shop, or to get a free estimate on any type of auto repair services, give us a call today at (763) 784-7944.